We make it convenient for you. Request a coach below- just fill in the details regarding your needs (day, time, location for your once/wk practice). We provide the quality program, coach, curriculum, and equipment at your local park for the duration you choose (6 or 12 weeks - once/wk)! ANTS will contact you within 24-48 hours (Monday-Friday) to finalize the details regarding your Neighborhood Kids Club. You will receive an individualized, custom registration link that is exclusively for your club that you can share with those who will be on your team! Thank you! An ANTS Tennis Representative will be in contact with you shortly. Regular Group - 4 to 8 children: $190/child. * Money back guarantee is subject to a 6% administrative fee. 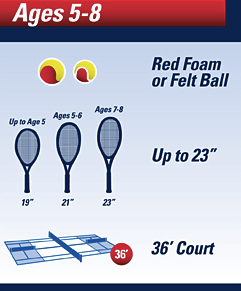 ANTS Tennis must be notified within 48 hours of your first lesson in order to qualify.